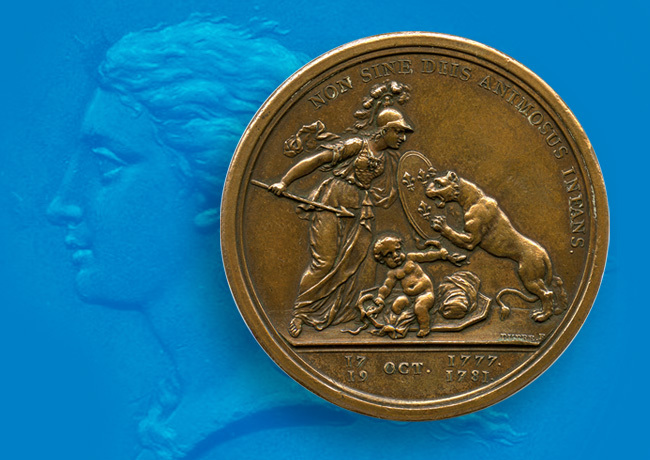 Medal of friendship birth between France and United States engraved by Augustin Dupré, “Americana Libertas” is one of the most famous medals linked to american independence. It was struck at Benjamin Franklin’s request to commemorate the 3 most important dates of the american War of Independence. – July 4th 1776 – Independence Day declared by the Continental Congress. – October 17th 1777 – The Battle of Saratoga, which gave to the revolutionary troops a decisive victory over the british troops.